The kindness and compassion of our citizens are part of what makes Nebraska great. That kindness is in no small part reflected in Nebraska’s charitable sector, both by the work of Nebraska’s charities and the tremendous amount of charitable giving by Nebraskans. 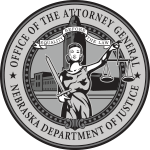 In order to make sure that this generosity is respected and wisely used, the Nebraska Attorney General’s Office oversees Nebraska’s charities and charitable assets through enforcement of the Nebraska Nonprofit Corporation Act, the Nebraska Uniform Trust Code, the Nebraska Uniform Prudent Management of Institutional Funds Act, and the common law. Below you can find links to more information about nonprofit corporations, charitable trusts, and endowment funds, as well as tips regarding charitable donations for charities, donors, and fundraising platforms.